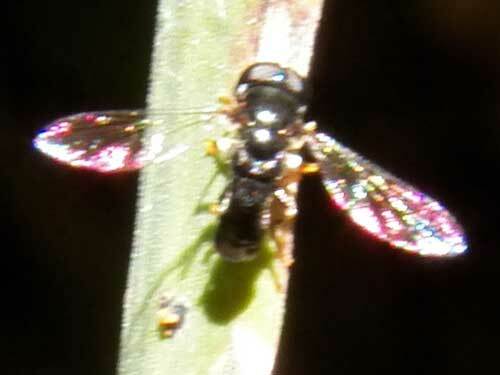 This photo probably lacks enough clarity to allow specific identification to genus and species. Eldoret, Kenya, January 2012. This fly suggested to me a relation to the Tephritoidea. If a dipterist happens upon this page I hope that he or she will e-mail me a clue as to the identity. A field naturalist could uncover some interesting fact about this insect by following to it's food sources and oviposition sites.